Most cancer patients use complementary therapies such as herbs and dietary supplements in combination with conventional therapies and with good reason. Several herbs have shown in research to have direct and indirect anti-cancer activities and to help protect the body against the well-documented, invasive effects of conventional cancer treatments like chemotherapy and radiotherapy. The truth is there are numerous websites claiming to have the latest wonder herb or herbal supplement to treat cancer. Herbs have potent (powerful) ingredients and should only be taken with the same level of caution as pharmaceutical medications. 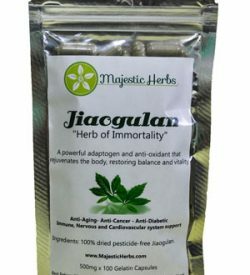 At Majestic Herbs we have compiled only the most promising herbs that have demonstrated genuine anti-cancer activity in publicly available research, for you to make your own decision on their efficacy. While not definitive, herbs are ranked in order of apparent efficacy, clinical research and safety profile. Jiaogulan’s chemical compounds like saponins (gypenosides), flavonoids and polysaccharides have shown in studies to have direct anticancer activities. 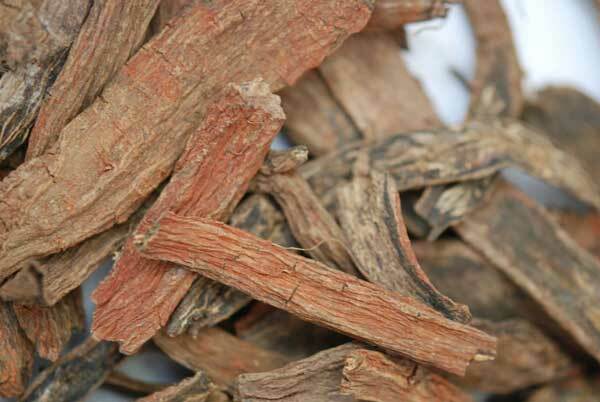 An adaptogenic herb, Jiaogulan has shown to protect and boost the immune system, vital in preventing cancer and in helping boost the body’s stress resistance during damaging chemotherapy treatments. 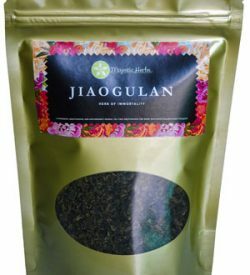 Jiaogulan is also known to stimulate the production of the body’s most important internal antioxidants – Superoxide Dismutase (SOD), Glutathione Peroxidase (Gpx), and Catalase (CAT) – crucial in the prevention of diseases. Jiaogulan has few known negative side effects but is known to cause nausea and increased bowel movements in some people. To read more about Jiaogulan’s efficacy as an alternative treatment for cancer, see Jiaogulan and Cancer. The reishi mushroom or lingzhi mushroom – an edible medicinal fungus – has been heralded for centuries as the ‘King of Mushrooms’ due to its reputed medicinal qualities. 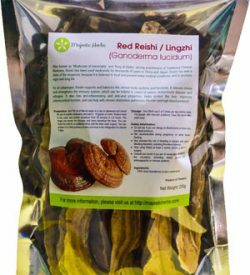 Known as ‘lingzhi’ in traditional Chinese medicine (translated as “spirit plant”), reishi is widely used and recommended for its supporting effects on the immune system. A surprising amount of preliminary laboratory research and numerous preclinical trials suggest reishi has potential anticancer and anti-tumor properties, hence the mushrooms popularity as an alternative therapy. The anti-cancer activities of reishi are believed to be due to its immunomodulatory (modifies the functioning of the immune system), anti-angiogenic (inhibits the growth of new blood vessels), and cytotoxic (toxic to living cells) effects. While reishi is known to boost the immune system and help prevent secondary infections, it is also believed to target and kill cancer cells. Research from the Journal of Nutrition and Cancer suggests Reishi can inhibit cell invasion and disrupt cell spheroids (spherical cell clusters) – believed to contribute to cancer cell invasion. It is widely accepted that Natural Killer (NK) cells play a major role in the host-rejection of both tumors and virally infected cells. Polysaccharides (carbohydrates) extracted from reishi have shown in Chinese research to inhibit the binding of fibrinogen (a blood clotting protein) to melanoma cells. This fibrinogen forms a protective outer layer over cancer cells which blocks Natural Killer cytotoxic effects on melanoma cells. In other words, reishi can potentially help NK cells – the body’s tumor hunters – to do their job better in ejecting both tumors and virally infected cells. This medicinal mushroom has also shown much promise as a therapy for inflammatory breast cancer, due to its demonstrated ability to selectively inhibit cancer cell viability. Research from the National Cancer Institute in Italy indicates the possible use of reishi extract for the therapeutic management of melanoma and human triple-negative breast cancer. Puerto Rican research suggests reishi can bring about apoptosis (programmed cell death) in inflammatory breast cancer cells. Reishi has also demonstrated an ability to block protein-destroying enzymes (matrix metalloproteinases) that play a pivotal role in tumor growth and in invasion and metastasis (spread). Meanwhile, Australian research has demonstrated that patients given reishi alongside chemo/radiotherapy were more likely to respond positively compared to chemo/radiotherapy alone. A review of published studies in 2015, supports reishi’s use as an adjunct to cancer therapy rather than a first line therapy. 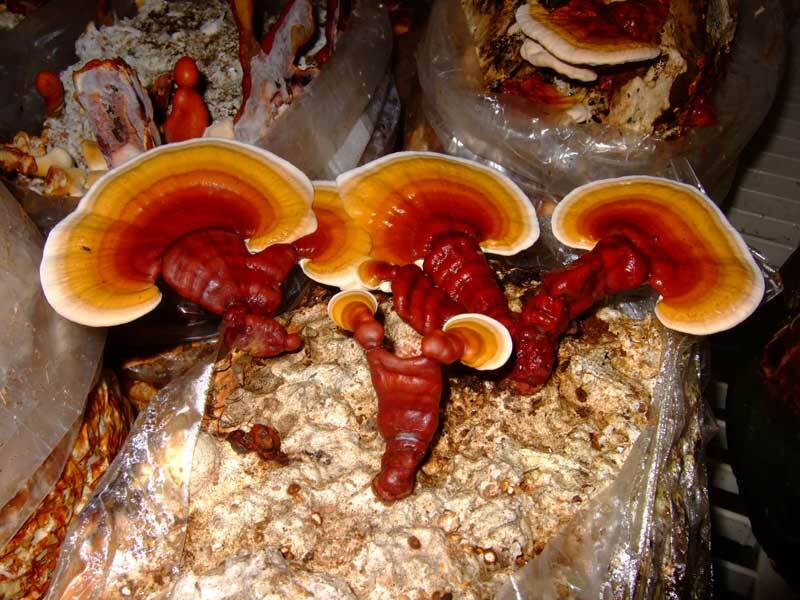 To read more about health benefits of this incredible mushroom see Ganoderma Lucidum Mushrooms (Red Reishi/Ling Zhi) Benefits. Reishi is non-toxic and can be taken daily without producing any known side effects. Known in China as ‘snake needle grass’ or ‘white flower snake-tongue grass’, Hedyotis diffusa or Oldenlandia diffusa (spreading hedyotis) has been used as an anticancer herb for several thousand years and is one of the most renowned herbs prescribed for cancer treatment in Chinese traditional medicine. Spreading hedyotis contains flavones (flavonoids), anthraquinones (phenolic compounds), polysaccharides (carbohydrates), and other compounds believed to possess anticancer activities. In fact, if Chinese research is to be believed, extracts of spreading hedyotis effectively inhibited the growth of eight cancer cell lines and induced a significant increase of apoptosis (programmed cell death) in cancer cells. Spreading hedyotis is commonly used in conjunction with other herbs like skullcap in Chinese anti-cancer treatments. Both pre-clinical and clinical studies to date suggest Spreading hedyotis is both effective and safe in treating various cancers including liver cancer, stomach cancer, lung cancer, esophagus cancer, and leukemia. Research also suggests the herb can restrict the growth of ovarian cancer cells, carcinoma cells, prostrate cancer cells and may even exert inhibitory effects on the notoriously difficult to treat cancer stem cells. Spreading hedyotis is thought to directly inhibit the growth of various cancer cells and induce apoptosis (programmed cell death) both in vitro and in vivo in cancer cells. The herb has shown selective cytotoxicity against cancerous cells and is believed to have immune-stimulating effects and suppress some oncogenes and up-regulate anti-oncogenes. Spreading hedyotis enhances the activities of natural killer (NK) cells (tumor hunters) and macrophages (scavenging white blood cells). Research also suggests Spreading hedyotis can also enhance conventional cancer therapies like chemotherapy while inhibiting adverse effects suggesting its usefulness as an adjunct. Virtually all of the publicly available research suggests spreading hedyotis has enormous potential in the therapy of cancer and warrants further chemical and pharmacological investigation. Clinical doses of 30–60 g/day are believed to result in minimal adverse side effects. In traditional Chinese medicine Skullcap or barbed skullcap is known as Ban Zhi and highly regarded for its potent anticancer effects on various cancers. Skullcap has been found to exhibit efficacy both in vitro and in vivo on a variety of cancer types including gastric cancer, colon cancer and in tumor growth. In one Chinese study, a flavonoid isolated from skullcap reduced the viability of human colon carcinoma cells and induced apoptosis (programmed cell death), even suggesting skullcap is a promising anti-tumor drug for treating colon cancer. In another, researchers suggest skullcap has an immunomodulatory function with potential therapeutic effects in lung cancer. In a third, skullcap showed significant antitumor effects on human lung carcinoma. A Korean study suggests that treatment with an extract of skullcap can inhibit the proliferation of human gastric adenocarcinoma cells and promote apoptosis (programmed cell death). 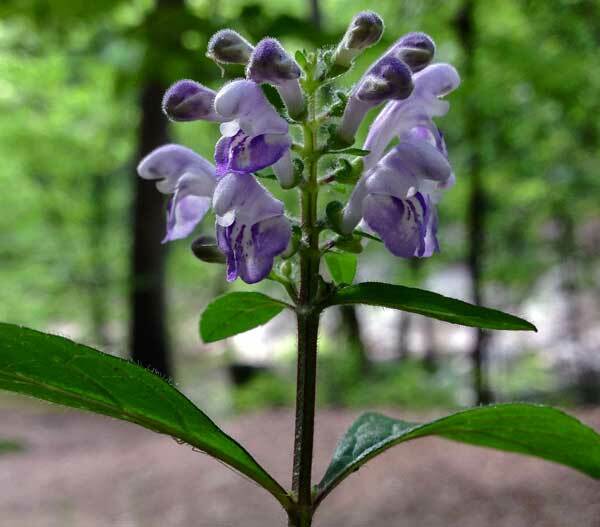 Skullcap has also shown promise in treating bladder cancer and breast cancer when combined with another well-regarded Chinese herb hedyotis diffusa (known in Chinese medicine as white flower snake-tongue grass or snake needle grass). 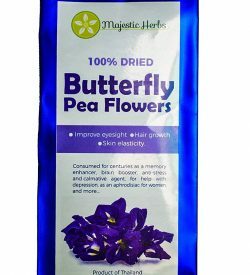 Skullcap has been tested in human clinical trials for the treatment of metastatic breast cancer. 80 women with stage IV metastatic breast cancer took part in the study. 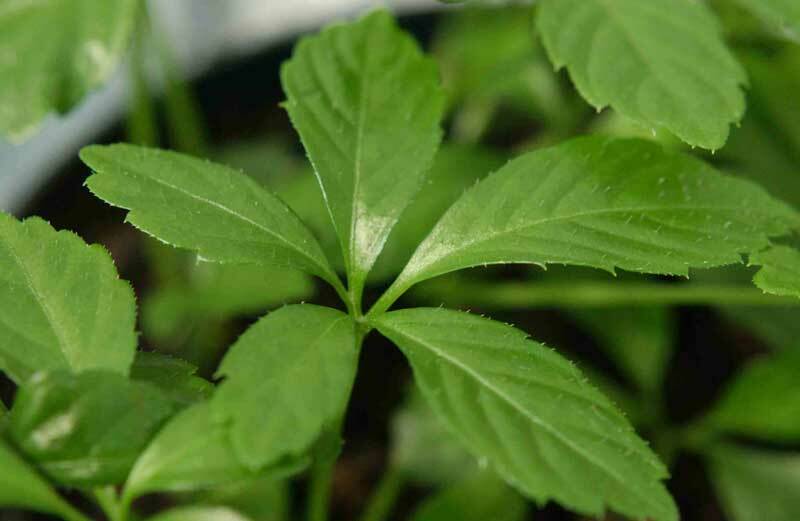 It is somewhat surprising that the clinical trial was the first of a potential cancer drug derived from a Chinese medicinal herb, to be validated by the FDA. Unfortunately, while the study has been completed, the investigating company, Bionovo, is yet to publish its findings. Preclinical studies suggest that skullcap has an antitumor activity on breast cancer and preliminary clinical data suggest that it is tolerable in patients with metastatic breast cancer. Extracts of skullcap also induced apoptosis in prostate cancer cells in Chinese laboratory research. Skullcap is also used as a herbal remedy for inflammation and traumatic injury. There is not enough evidence to definitively confirm skullcap’s safety, although human clinical trials on advanced breast cancer showed no serious side effects apart from some mild nausea, diarrhea, headache, flatulence, vomiting, constipation, and fatigue. Feverfew sometimes called ‘bachelor’s buttons’ gained significant attention after recent research from Rochester University in New York revealed it to be more successful than the pharmaceutical drug Cytarabine in killing leukemia cells. The researchers identified a compound called ‘parthenolide’ within feverfew they believe has “the potential to revolutionize the treatment of certain types of leukemia and other cancers”. It is commonly accepted that traditional leukemia treatments are effective in killing cancer’s actively dividing cells, but do not kill the rogue stem cells at the root of the disease. The Rochester researchers believe parthenolide has the capability to destroy both the dividing cells and the rogue stem cells. If the research is accurate, feverfew would be the first known agent to destroy myeloid leukemia at the level of the stem cells. The US National Cancer Institute was so impressed by this research it accepted it into its rapid access program, in order to fast track it from the laboratory to human clinical trials. 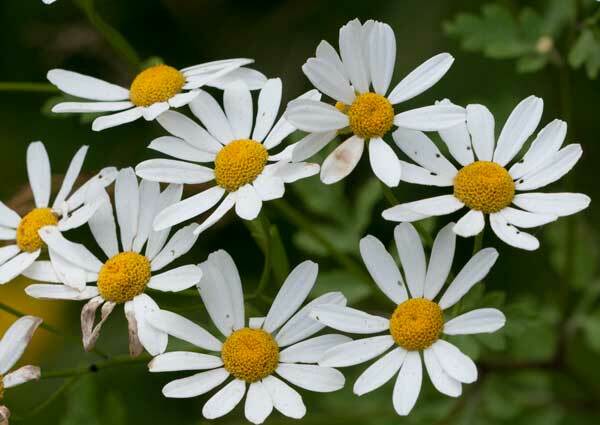 Feverfew appears safe for cancer patients to take and is generally considered non-toxic. 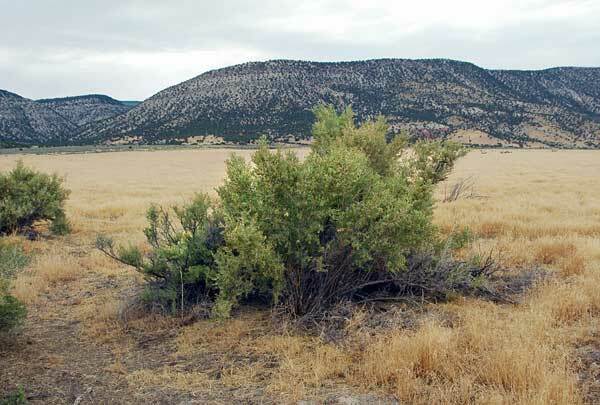 Several animal studies seem to suggest dan shen root – also known as red sage – has cancer-fighting properties. Sometimes called ‘poor man’s ginseng’ – dan shen root has shown in research to inhibit multiple types of cancer cell lines. Researchers have reported significant effects from dan shen on inhibiting tumor cell proliferation and promoting apoptosis (cell death) in breast cancer, hepatocellular carcinomas, promyelocytic leukemia, and clear cell ovarian carcinomas. Recent Taiwanese research from this year suggests dan shen root significantly inhibited the proliferation of the human oral cancer cell lines. In the study, dan shen exhibited considerable antioxidant and antitumor activity. Another study from 2011 also suggested dan shen root is an anti-tumor agent, with the ability to kill certain cells via apoptosis (programmed cell death). Meanwhile, a 2014 mouse model study, suggested dan shen root can reduce inflammation and potentially reduce the risk of colorectal cancer. Inflammatory bowel disease is thought to heighten the risk of colorectal cancer, therefore, dan shen root’s anti-inflammatory action in the bowel is thought to help decrease the risk of inflammation-related colorectal cancer. Dan shen root’s anti-inflammatory properties were also found to suppress inflammatory proteins and promote the production of anti-inflammatory proteins, in a 2011 cell-level study. While more research is needed, dan shen root shows considerable promise in cancer treatment and risk reduction. Dan shen appears safe for cancer patients to take and is generally considered non-toxic. Echinacea is a herb that has been extensively studied for its ability to boost the immune system (immunomodulation), hence its popularity for treating colds and flu. The immune system also protects the body from infections and diseases, hence its investigation as a treatment and preventative agent for diseases like cancer. While most of echinacea’s medical efficacy in treating cancer is considered anecdotal, there have been animal studies that support its anti-cancer effects. In Canadian research, echinacea has shown to be disease preventing, extending the lifespan of aging mice, abating leukemia and extending the lifespan of leukemic mice. Studies about echinacea effects on brain cancer have been published by the National Institutes of Health (NIH). 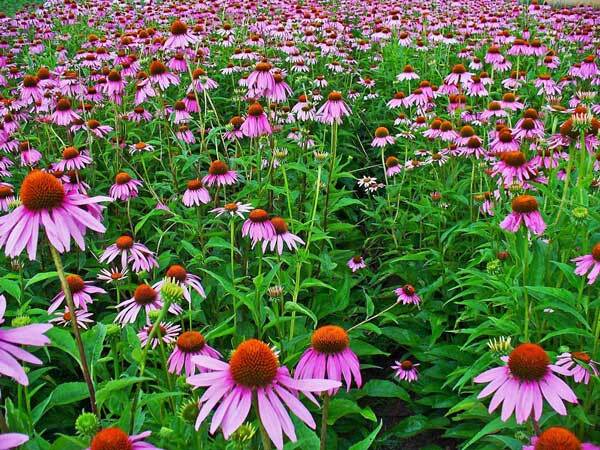 This research reinforced echinacea’s anti-inflammatory properties. Meanwhile, research from the University of Munich in Germany suggests echinacea stimulates interleukin (a protein that regulates the activities of white blood cells in immunity) and boosts T-cell production by as much as 30 percent more than immune boosting drugs. In Taiwanese research, an extract of echinacea inhibited human colon cancer cell lines and was able to induce apoptosis in human cancer cell lines. While German research, highlighted echinacea’s promise as a counteragent to the damaging effects of chemotherapy. Echinacea is considered safe when taken orally or applied to the skin in suggested doses for up to eight weeks. Astragalus is an immune boosting herb known as Huang Qi in China that is reported to stimulate the body’s production of interferon. Interferons are a group of signaling proteins made and released by host cells in response to the presence of several pathogens, including viruses, bacteria, parasites and tumor cells. In the body, a virus-infected cell will release interferons causing nearby cells to heighten their anti-viral defense. Interferons are reputed to be effective in treating hairy cell leukemia and symptomatic nodular lymphoma. Thorowax or Hares ear (Bulpleurum scorzoneraefolium) are other herbs known to stimulate interferon production. Astragalus is reported to have both an immuno-modulating action (stimulates the immune system) and adaptogenic effect (aids stress adaption), which can help the body deal with stressful cancer treatments like radiotherapy and chemotherapy. 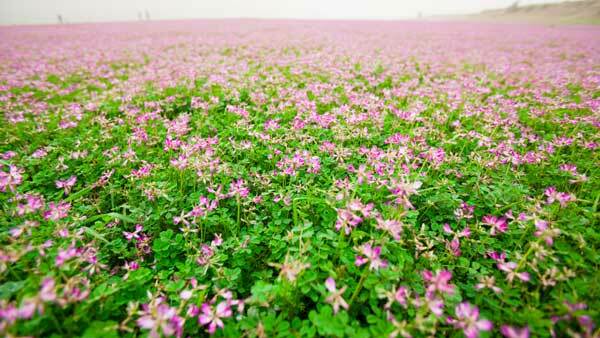 Astragalus has shown in Taiwanese research to enable the body to boost its white blood cell count, produce more antibodies and natural killer (NKT) cells, while also strengthening its antiviral immunity. Traditionally, astragalus has been used to treat upper respiratory infections, colds, allergies, anemia, fibromyalgia, and even HIV/AIDS. Reported side effects of astragalus are rare and mild with the most commonly reported diarrhea and other slight gastrointestinal effects. People with hypertension, diabetes or blood disorders should exercise caution as astragalus may affect blood sugar levels and blood pressure. Completed studies from various scientific groups conclude that both grapes and grape-based products are excellent sources of various anticancer agents. Grape Seed is an antioxidant, free radical scavenger and rich source of flavonoids (plant pigments). Flavonoids have been attributed to several health benefits including reduced risk of cancer, heart disease, asthma, and stroke. The most important grape seed flavonoids are thought to be proanthocyanidins (GSPs). These are widely consumed as dietary supplements and purported to be more powerful antioxidants than vitamin C, helping to protects the body against free radical damage. GSPs have also shown to have antitumor activities in several publicly available studies. South African research suggests GSPs can significantly inhibit cell viability and increased apoptosis (cell death) in colon cancer cells. While Chinese research found GSP’s can inhibit the growth of cervical cancer by inducing apoptosis via the mitochondrial pathway. Additional research from China suggests GSP’s can even inhibit colon tumor growth and could be effective as a safe penetrative agent against colorectal cancer. An American study from 2013, suggests GSP’s inhibit the migration potential of pancreatic cancer cells. Research from the University of Colorado found Grape Seed Extract (GSE) intervention may serve as a multi-targeted therapeutic capable of inducing selective cancer cell death. In that study, the further advanced the cancer cells were, the better the GSEs worked at inhibiting their survival and growth. Grape seed extract is also being investigated for its potential antibacterial properties. Side effects of Grape Seed Extract may include headache, itchy scalp, dizziness, and nausea. People allergic to grapes should avoid its use. Pregnant or breastfeeding women should avoid taking grape seed or grape seed supplements. Butcher’s broom got its name from being used as a traditional source of broom straw. Butcher’s Broom has traditionally been used for circulation and appears to constrict veins. The herb contains ‘ruscogenins’, chemical compounds which have shown promise in shrinking tumors and cancer cells. Ruscogenins have also exhibited anti-oestrogenic abilities, suggesting potential efficacy in treating estrogen driven cancers, like breast cancer. Further research is needed but clinical trials suggest the administration of anti-oestrogens to healthy women can reduce the early incidence of breast cancer by 40%. Researchers from the Tokyo University of Pharmacy and Life Science discovered cytotoxic activity from the underground parts of butcher’s broom, whereby an extract showed inhibited (HL-60) cancer cell growth. There is also evidence that this medicinal plant may also be beneficial in treating lymphoedema. 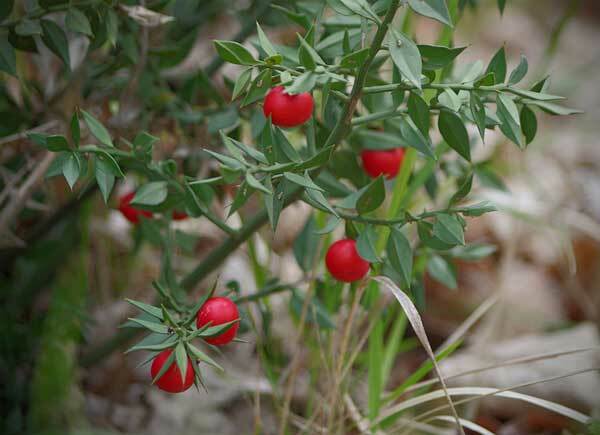 Butcher’s broom extracts have been shown to increase blood and lymph vessel contractions and peripheral lymph flow. 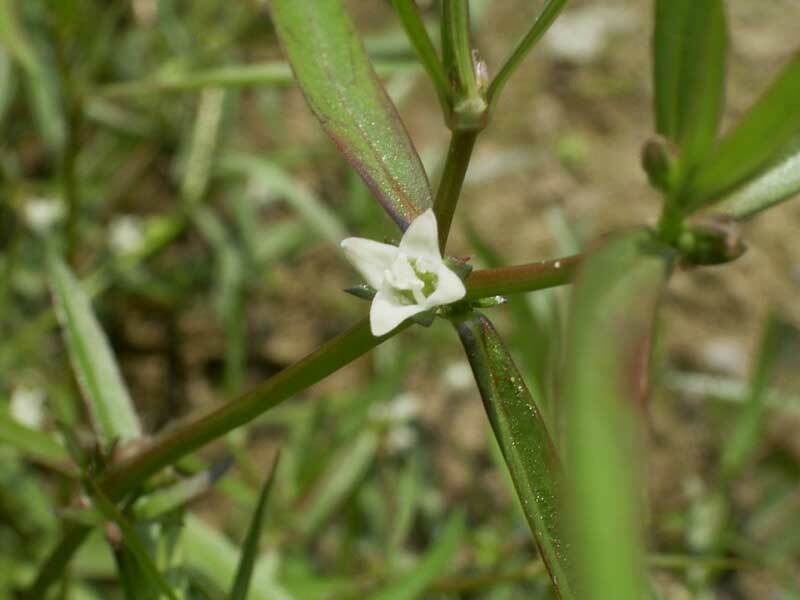 Butcher’s broom is believed to be safe for most people when taken orally for up to 3 months. Mild side effects have been reported including nausea and an upset stomach. 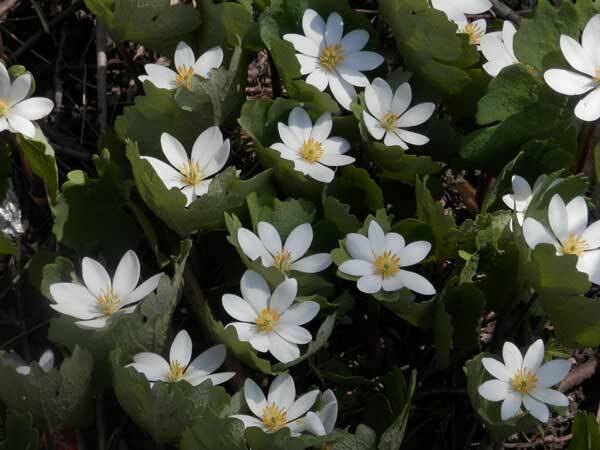 Used as a remedy for centuries by Native Americans, bloodroot is a source of the powerful alkaloid sanguinarine. Sanguinarine is actually a toxin that kills animal cells and if applied to the skin, may cause a scab of dead flesh. In both human cancer cells and animal studies, sanguinarine and extracts of bloodroot have shown promise in clinical applications in the treatment of various cancers. Several studies suggest sanguinarine has cancer-fighting properties via its ability to block cell proliferation and induce apoptosis (cell death) in a number of different transformed and malignant cell types including primary effusion lymphoma, human prostate carcinoma cells and in human colorectal cancer. Meanwhile, a study from Case Western Reserve University in Ohio discovered that low doses of sanguinarine caused apoptosis in cancerous human epidermoid carcinoma cells while leaving normal human skin cells unaffected. Another study from the United States suggests sanguinarine can stimulate cancer apoptosis in human prostate carcinoma cells. Bloodroot is considered generally safe when taken orally. Known side effects are mild with nausea, vomiting and drowsiness reported. Skin contact with the fresh plant has in some cases caused a rash. Cat’s claw is a woody vine indigenous to the Amazon Jungle used as a sacred medicinal herb by the local tribe’s people for thousands of years. Immunomodulating (immune system stimulating), anti-inflammatory and anticancer properties have been attributed to cat’s claw, mainly to the presence of its alkaloids. Cat’s claw drew much attention in the 1920s after German naturist Arturo Brell claimed to have cured a man of terminal lung cancer within one year, via the daily administration of cat’s claw tea. In animal and laboratory studies, cat’s claw has shown promise in treating cancer, in particular by inhibiting the proliferation of breast cancer cells. An Italian study found that Cat’s Claw inhibited the growth of breast cancer cells by up to 90 percent. A recent Polish study found cat’s claw modulates cancer and normal cells oxidative metabolism differently (the chemical process in which oxygen is used to make energy from carbohydrates or sugars) while enhancing cytotoxicity against cancer cells and enhancing normal healthy cells resistance to cisplatin, a chemotherapy medication. 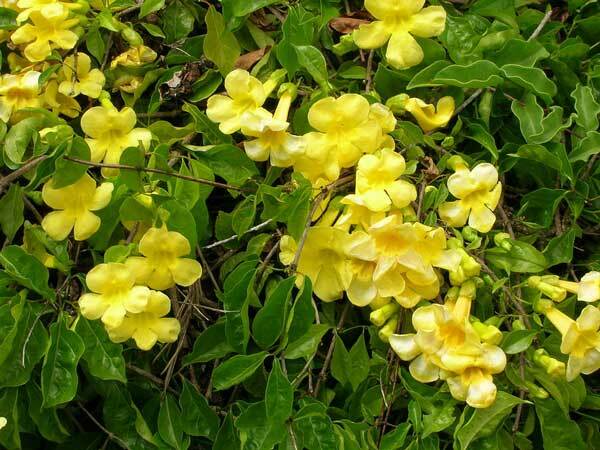 A recent Spanish study reported cat’s claw as having antioxidant and antimicrobial effects, while being cytotoxic to gastric adenocarcinoma (a type of tumor) and colon adenocarcinoma. While controlled clinical trials are needed, existing research suggests cat’s claw can also help in DNA cellular repair and help prevent cancer cell mutation. Meanwhile, a Brazilian study suggested cat’s claw extract could play an important role as a complementary therapy for cancer patients. As an adaptogen, cat’s claw is also believed to help prevent the depletion of white blood cells and immune cell damage and help the body adapt to the stress of radiotherapy and chemotherapy. Cat’s claw appears to have few side effects but there have been few studies to confirm its safety. Dizziness, nausea, and diarrhea have been reported in a few cases. 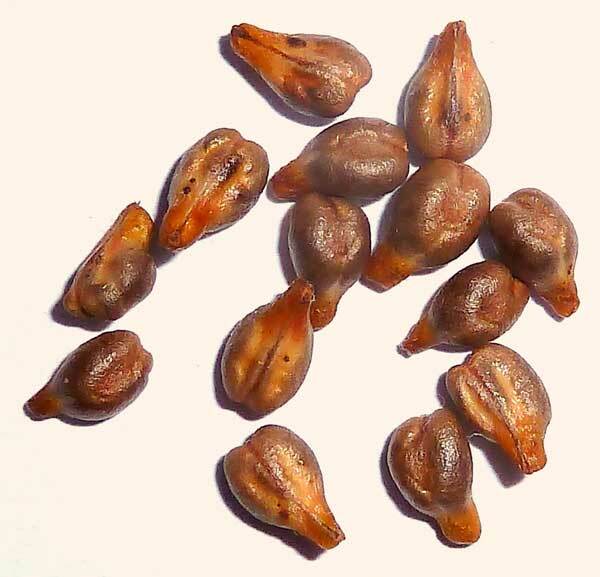 The dried fruit of Berberis vulgaris and its active constituent, berberine has long been used in herbal medicine. An Iranian study from 2015, suggests berberis vulgaris has a cytotoxic effect on human breast carcinoma cells. In that study, extracts of Berberis significantly inhibited proliferation of breast cancer cells, while changes were not observed in normal human breast epithelial cells. Also from the Berberis family, Berberis libanotica (extract) has shown in research from 2014 to inhibit proliferation, cell migration, cell invasion and reduce cancer cell viability. A study from China in 2016, suggests berberine has chemopreventive effects on human breast cancer cells via induction of apoptosis and autophagic (a self-degradative process that is important for balancing sources of energy) cell death. An even more recent Chinese study suggests Berberine has antitumor activity in esophageal cancer cells (in vitro). Berberine has also been found to inhibit or kill many microorganisms, like fungi, protozoa and bacteria. Smaller, divided doses are best to avoid side effects when taking berberis as stomach upset, cramping, and diarrhea have been reported. 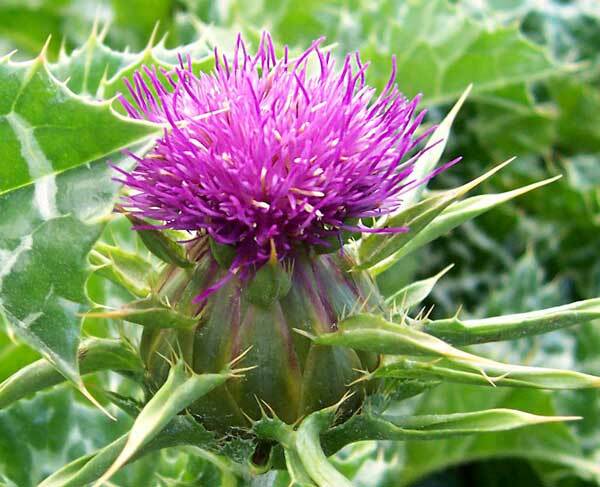 Milk Thistle has been used for centuries as a treatment for liver and biliary disorders. Human clinical studies have demonstrated that milk thistle extract has significant hepatoprotective (prevent damage to the liver), antidiabetic, and cardioprotective effects. The active substance in milk thistle is called ‘silymarin’. Silymarin has been used for more than 2000 years as a natural remedy for treating hepatitis and cirrhosis and to protect liver from toxic substances. Silymarin is thought to exert anticancer effects via multiple molecular mechanisms that block all stages of carcinogenesis, initiation, promotion and progression. Silymarin has been studied in the laboratory on cancer cells as well as in animal tumors of the skin, tongue, bladder, colon, and small intestine. In a review of research to date from the United States, silymarin was shown to have anti-invasive and antimetastatic effects indicating its possible usefulness as a preventive and therapeutic agent in the treatment of more advanced and aggressive forms of cancer. American research also suggests leukaemia patients who consumed milk thistle had reduced liver toxicity and chemotherapy side effects. Silymarin is also believed to protect against UV-induced skin cancer. Milk Thistle is generally considered non-toxic and side effects from its use are rare and mild. Chaparral, also known as Greasewood, is used by Native Americans to treat a variety of illnesses, including cancer. In 1942, researchers at the University of Minnesota identified nordihydroguaiaretic acid (NDGA) as chaparral’s most important chemical component. NDGA is believed to possess antioxidant properties and has been used as a lymphatic system cleanser. NDGA has also been investigated for potential anti-tumor effects. In research, NDGA caused cytotoxicity in human prostate cancer cells and significantly suppressed tumor metastasis in mice. However, caution should be exercised if you are considering taking chaparral, as a few studies also exist that have linked its consumption to kidney and liver failure, liver cirrhosis, kidney cysts, and kidney cancer in humans. Red Clover has shown some promise in treating estrogen-driven cancers, like breast cancer and for reducing ‘hot flushes’ in women who experience premature menopause as a result of their cancer treatment. Modern scientific analysis has shown that red clover contains ‘isoflavones’, phytochemicals or compounds that produce estrogen-like effects in the body. Isoflavones are being studied in regard to their natural effects on cancerous cells and tumor formation. A study from The Royal Marsden Hospital in England suggests treatment with red clover isoflavones is safe and well tolerated in healthy women, though there remains some debate to its safety profile. An Italian study suggests the phytoestrogens found in red clover can actually increase bone density, suggesting efficacy in the treatment of osteoporosis. There are several studies that suggest phytoestrogens inhibit the growth of breast cancer cells, which is why red clover has been considered as a possible help in cancer treatment. A 12-week study of fifty-one women implied that isoflavones could be used to relieve acute menopausal symptoms. 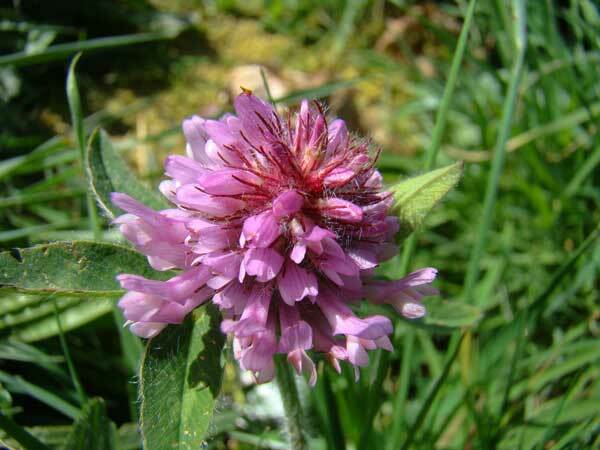 However, current evidence for Red Clover’s efficacy in treating breast and ovarian cancers is considered weak and the results inconclusive. Native to southeastern Canada and the eastern United States, Goldenseal has been purported as a treatment for a variety of conditions including cancer, low blood pressure, gastrointestinal disorders, conjunctivitis, heavy menstruation, infections, and edema. Goldenseal is believed to be antimicrobial and in conjunction with the mineral Bismuth, believed to kill helicobacter pylori, a suspected cause of gastric cancer. Goldenseal contains ‘berberine’, a bitter yellow alkaloid thought to inhibit NF-kappa B, an important cellular protein, which plays a role in the development and progression of inflammation and cancer. A Chinese study suggests Berberine can reduce the metastatic potential of highly aggressive breast cancer cells and may be a useful adjuvant therapeutic agent in the treatment of breast cancer. 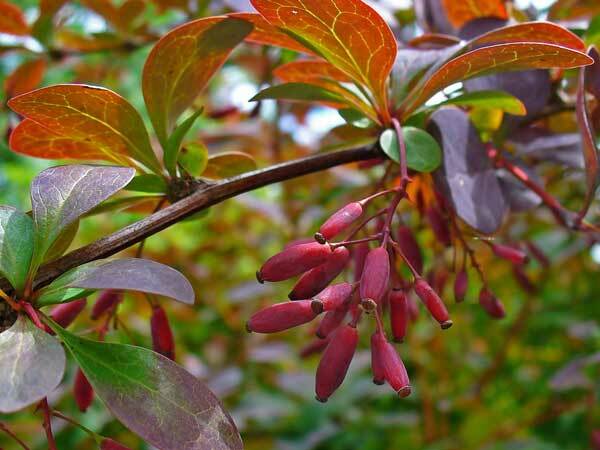 Moreover, berberine has shown in Chinese research to make tumor cells more sensitive to radiation and radiotherapy or chemotherapy, when treating human breast cancer cells. Research from the Department of Medicine, Massachusetts General Hospital and Harvard Medical School suggests berberine increases ROS (Reactive Oxygen Species) production, reducing multidrug resistance and enhancing the inhibitory effects of chemotherapeutic agents on (A549) human lung cancer cell growth. Goldenseal is not the only source of berberine. In fact, Berberine is found in the roots and stem bark of numerous plants including Barberry (Berberis vulgaris), Oregon grape (Berberis aquifolium) and Chinese Goldthread (Coptis chinensis). 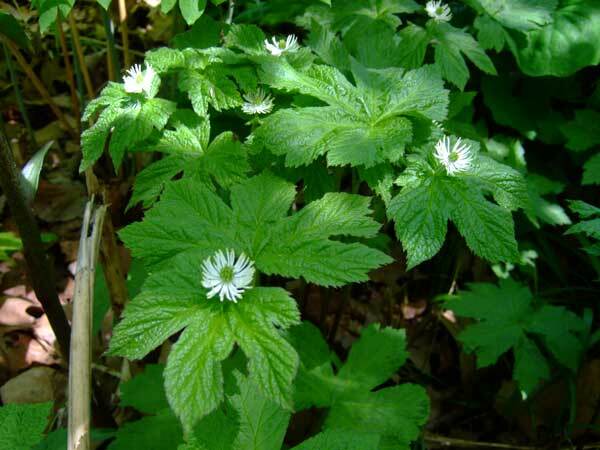 The main side effects of goldenseal are related to digestion and thought to be mild, though there are reports of diarrhea, flatulence, stomach pain and constipation. Goldenseal is generally considered safe for short-term use in adults at recommended dosages but care should be taken when considering taking goldenseal with other medications. Turmeric contains the active ingredient curcumin, which in recent research has been shown to decrease tumor size and fight colon and breast cancer. Curcumin is believed to be a powerful anti-inflammatory and has shown promise as a potent natural compound both for prevention and treatment of multifactorial diseases such as cancer. Curcumin is nontoxic, and does not adversely affect healthy cells. A Chinese study from 2016, suggests curcumin has chemopreventive effects on human breast cancer cells. Research from Luxemburg suggests curcumin is able to modulate many components of intracellular signaling pathways concerned with inflammation, cell proliferation and invasion and to induce genetic changes that can lead to tumor cell death. While curcumin has shown excellent anticancer properties its inherent poor solubility, higher metabolic activity and poor pharmacokinetics (movement within the body) is believed to hamper its ability as a potent medicine for cancer. Taking turmeric in combination black pepper however, is thought to increase the bioavailability of turmeric by about 1000 times. Turmeric does not usually cause significant side effects though some people may experience an upset stomach, nausea, dizziness, or diarrhea. 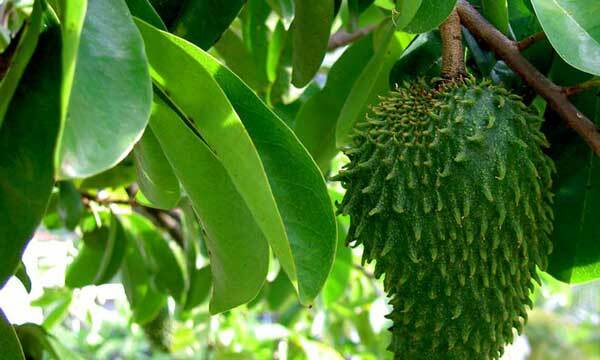 Graviola, known also by the name of its fruit ‘soursop’, has shown much promise in recent research as a natural anti-cancer agent. Phytochemicals isolated from the leaves and bark of graviola known as ‘acetogenins’ are thought to be the most important active ingredients. One of the earliest studies to show soursop’s medicinal qualities was a study from North Carolina in 1996 where researchers found a compound extracted from the fruit killed cancer cells but left healthy cells unharmed. A 2012 study from the Nebraska at the Department of Biochemistry and Molecular Biology, suggests Graviola is a promising natural-derived drug that “inhibits tumorigenicity (producing or tending to produce tumors) and metastasis (cancer spread) of pancreatic cancer cells through altering cell metabolism. Pancreatic cancer cells are notoriously resistant to conventional therapies. Graviola created a buzz in 2012, following research, both in the lab and in living tissue, which found Graviola could inhibit several signaling pathways of pancreatic cancer cells and kill them before they can complete their metastatic lifecycle. Graviola has also shown promise in Chinese research in inhibiting the growth of breast cancer cells. Caution should be exercised with consuming soursop for cancer treatment or prevention as there is evidence that the consumption of soursop may not be entirely safe. A West Indian study suggests eating the fruit could lead to a movement disorder called ‘Caribbean Parkinsonism’, while another suggests the tea has some neurotoxic effects. Burdock root (arctium lappa) has traditionally been prescribed as a diuretic and blood purifier, however, it is widely used for hypertension, gout, hepatitis and other inflammatory disorders. Pharmacological studies suggest that burdock root has hepatoprotective, anti-inflammatory, free radical scavenging and even anti-proliferative activities against certain cancers. 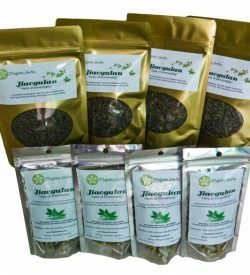 Arctigenin is thought to be the most significant medicinal component of burdock root and it has shown antiviral and anticancer effects in vitro. Chinese research suggests arctigenin has anti-tumor effects and may inhibit cancer cell viability and induce apoptosis (programmed cell death) in human bladder cancer cells. 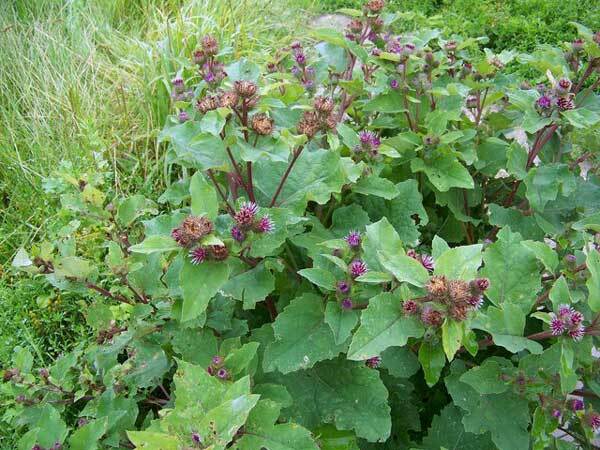 In Brazilian research, extracts of burdock root showed selective anti-proliferative activity against several (K562, MCF-7 and 786-0) human cancer cell lines. In recent research from 2017, arctigenin exhibited anticancer potential in human triple-negative breast cancer therapy. Research from the Los Angeles Division of Cancer Research and Training suggests, Arctigenin, in combination with quercetin (a flavonoid) enhanced its anti-proliferative effects in prostate cancer cells. In research from the same institute, the combination of arctigenin, green tea polyphenol and curcumin led to an increased chemopreventive in prostate and breast cancer cells. Burdock can be taken safely but should be avoided by people on potassium-lowering diuretic therapy, as it is high in potassium.